I have the honor and privilege of being a guest author for Faith Plus Family. A huge thanks to Danell at FaithPlusFamily.com for asking me to share my thoughts on the power of prayer in parenting. Here is an excerpt of my post on The Power of Prayer // The Journey of A Praying Parent. When God made me a mama, I was clueless about the power of prayer. I had prayed to be a mama and I had prayed to be a good one. 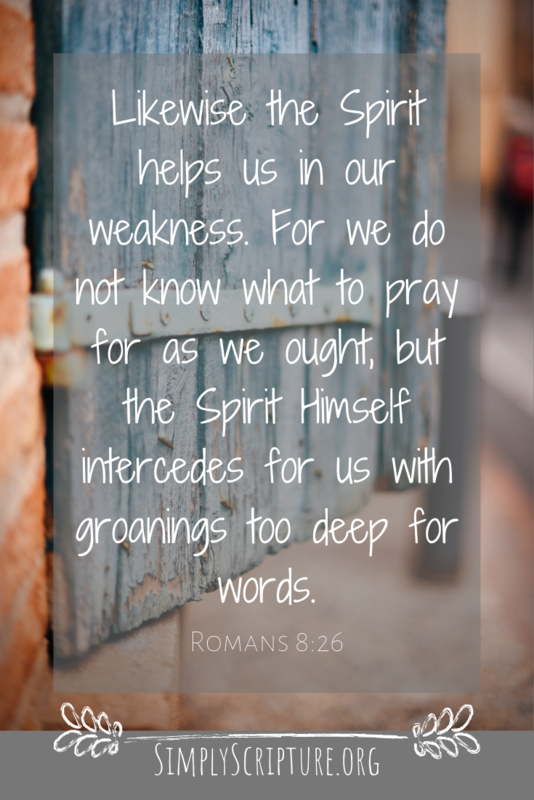 Then the delivery day came and I felt helpless to know how to pray effectively because I wasn’t sure He was listening. How could something so perfect land in my lap? How in the world am I going to not mess this kid up? I was convinced that this new little person was in peril because I was a rookie and it terrified me. I knew I didn’t have it within my own strength to figure motherhood out. So with stammering lips and a racing mind, I cuddled our newborn and whispered the three words that would echo throughout the corridors of my life. “God, help me.” He did. 1. PRAYER IS NOT A WISH LIST TO SANTA CLAUS. My prayer life was lame at best. Sometimes I felt as though God was just a kind hearted old fellow who could grant me my wants and desires. If I had been good enough, He would answer with blessings and when I was bad, well, I got a lump of coal in my spiritual stocking. He was a God who was kind and loving and yet so distant and harsh. My prayer routine was nothing more than simply giving Him my own list of things I needed and granting Him permission to do something about it. Like a spoiled child waiting for Christmas to come, I would demand God answer my way or I would pout. My prayers were shallow at best, but in hindsight God even worked with those small prayers. He gave me a desire to read the Bible and talk with Him about what I read. I asked Him questions and wrestled with His answers. It was when He humbled me that I realized I was not dealing with Saint Nick, but the All powerful, All knowing, Ever present, living God of the Universe. The Creator, Sustainer and Redeemer of mankind was jealous for my spiritual flourishing. I was helpless as a new mom, but I learned God was in control and I was not. I found I could trust Him not only with my needs and leave the outcome to Him, but I could trust Him with the soul of our newborn and the babies that were yet to come. It was the beginning of a journey. 2. PRAYER IS A LIFELINE OF SURRENDER. to read the rest of this post click here. God chooses to work through weak and humble vessels. When the diagnosis comes, when angry doors slam and when there seems to be no way through, God is able to do far more than we could imagine. His faithfulness from generation to generation never fails. Simply Scripture. When your heart is so wrung out from crying you become silent, it is then the Holy Spirit speaks the beautiful words that only He knows. The anguished cries of your heart become music to your father’s ears and all of heaven moves. Simply Scripture. God works even in the smallest and most awkward of prayers. He delights to hear His children speak to Him and He loves to take us from a baby in Christ to one day running into His arms. This is my journey of prayer. Simply Scripture. Older PostReading With My Eyes Open...Guest Author!